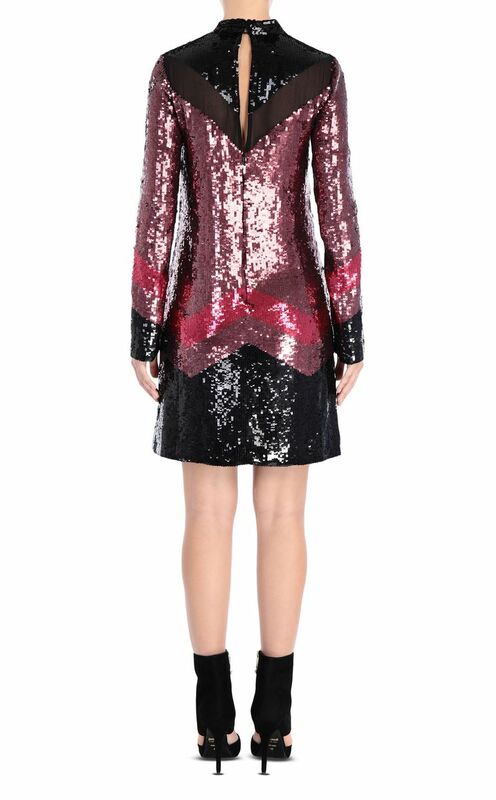 Mini dress with a high mandarin collar completely covered in multicoloured sequins. These embellishments are positioned so as to create geometric motifs, a common thread of this collection. Long, slightly flared sleeves, like the silhouette of the dress itself. Button fastening on the back that leaves a small part of the back exposed. Regular fit.